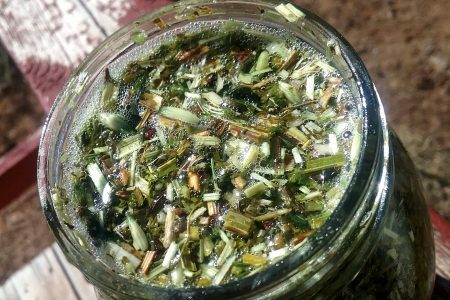 The first time I met the herb damiana it was during an Herbal Aphrodisiacs workshop being taught by La Abeja Herbs, and it was love at first sight. 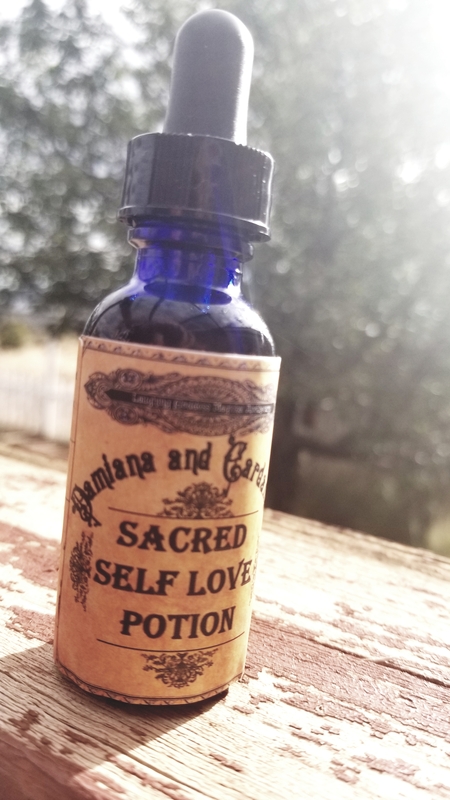 Or should I say love at first taste and smell.The scent of damiana was an intoxicating blend of earthy and mystical and her taste left me spellbound. 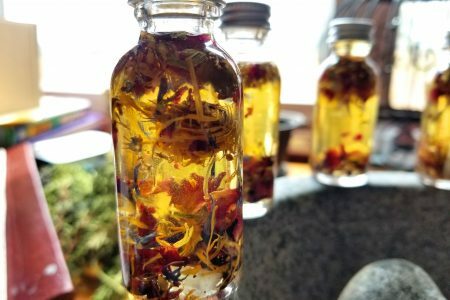 As a survivor of childhood trauma, being present in my body can sometimes feel painful and jarring but I found that sipping the bitter and aromatic infusion was a sensual experience in the truest sense of the word. She allowed me to slowly and sweetly sink into “being present” in a way that only bellydancing or moon bathing had previously done. 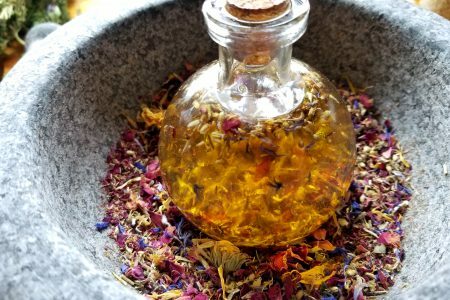 I have since come to recognize Damiana one of my sacred spirit plants and I have spent many a happy night studying spells, potions, and rituals while sipping on a cup of damiana and rose tea. I am hoping you all take a moment to enjoy how amazing you truly are with a cup of damiana induced magick as well.